The future of this state depends on all of us harnessing our assets to fuel Maine’s future. But it is also important to pause and acknowledge those who have already influenced our state in deep and lasting ways. It’s not easy to identify 50 living Mainers who have made a difference in our state because there are hundreds, thousands, working in countless capacities to contribute to their communities and to move Maine forward. Simply put, this list is far from comprehensive. It is a list comprised of people who have made a difference across a range of disciplines—some who have shaped policy, provided services for people in need, employed hundreds, or inspired millions. Others have driven economic growth and defined the state’s creative culture. All of these Mainers have been actively generous with their time, intelligence, and resources, and for their singular contributions, we thank them. Bruce Brown loves Maine art so much he cobbled together a collection of photography and contemporary American prints on a school teacher’s salary. His ingenuity and dedication caught the attention of the board of directors at Maine Coast Artists (now CMCA) and in 1987 he was hired as the center’s curator. 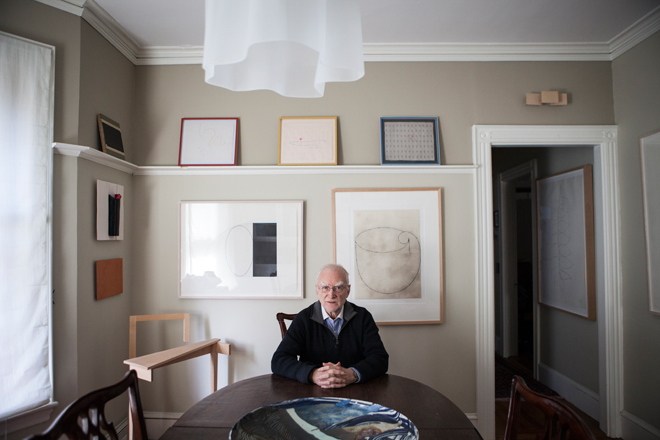 During his 20-year career, Brown curated more than 200 exhibitions. He resurrected the Maine Arts Curators Group, which joins museums, college art galleries, and other nonprofit art groups in statewide initiatives like the Maine Drawing Project (2011) and strengthened bonds between groups devoted to honoring and promoting Maine art. Brown also headed up “The Maine Print Project,” which culminated in 25 separate statewide exhibitions featuring the history of Maine printmaking. His own collection of prints has been widely exhibited throughout the state. Born into a family of lobstermen and carpenters on North Haven, Angela Adams’s love of the natural world grew in tandem with her love of art—particularly modern art. With her partner in life and design, Sherwood Hamill, Adams has created a line of furniture and textiles with extraordinary color, pattern, and form. Since the late 1990s, the Angela Adams line of modern home furnishings has made a splash internationally. Through her creative design and devotion to her home state, she has heightened the collective Maine brand and proven it’s possible to “make it” from Maine, in Maine—inspiring a new generation of creative Mainers. 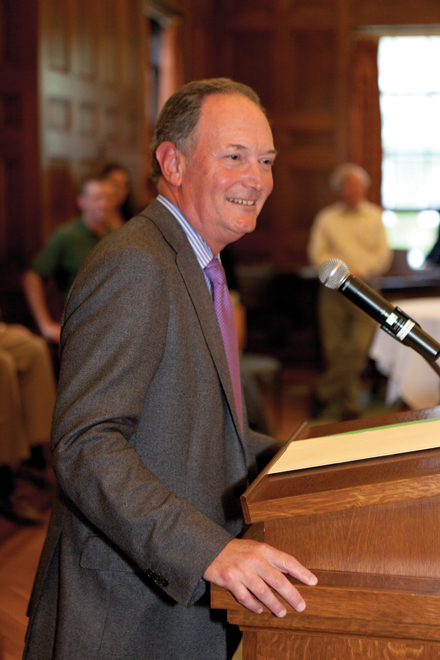 President Barry Mills has “been a transformative leader of Bowdoin College,” says Owen Wells, vice chair of the Libra Foundation. 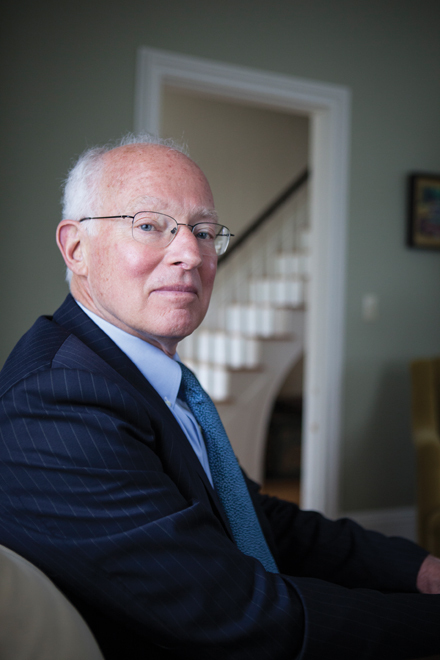 “He has guided Bowdoin into the very pinnacle of elite colleges in America.” During his tenure as president, Mills led the first major curriculum reform of Bowdoin’s liberal arts program since the early 1980s with a mission to better educate the twenty-first-century student. 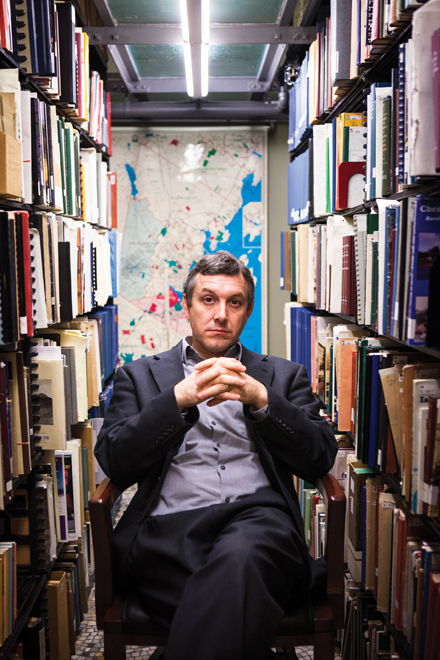 He has expanded the ethnic, religious, and socioeconomic diversity among students and employees, attracting students from around the country and the world to Maine while remaining committed to educating Maine students. 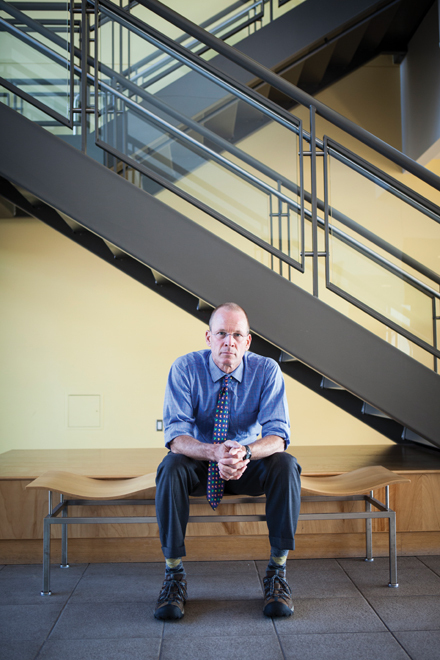 Overseeing a $20.8 million renovation and expansion of the college’s museum of art and building the Studzinski Recital Hall, Mills has reemphasized Bowdoin’s commitment to the arts, enriching the local community and making the elite college a destination location. Bowdoin College adds far-reaching value not just to Brunswick, but to the entire state of Maine. 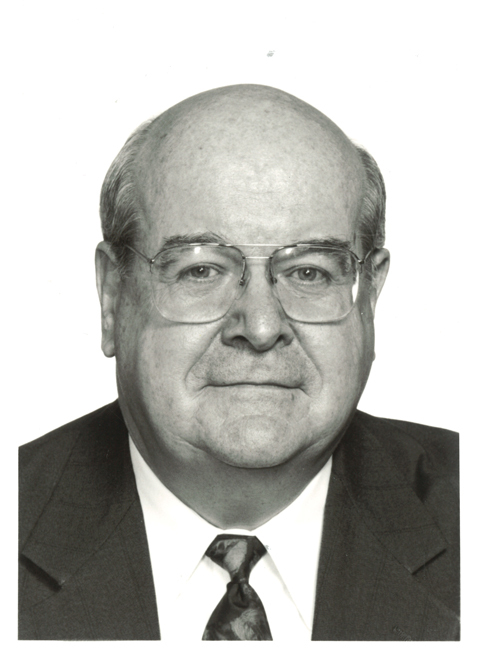 Dr. Robert McAfee served as an attending surgeon at Maine Medical Center and chief of surgery and vascular surgery at Mercy Hospital for decades before becoming the first Maine doctor to serve as president of the American Medical Association. In this highly influential role, McAfee succeeded in getting the AMA to view family violence and handgun violence as medical health issues, and in doing so fundamentally shifted the larger, national conversation. McAfee is a founding member of Maine Citizens Against Handgun Violence, a Trustee Emeritus of the University of New England, and he served as chairman of the Advisory Council to the Partnership for Tobacco Free Maine from 1997 through 2001. He is the recipient of countless awards. 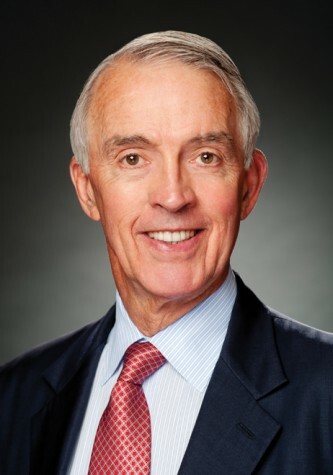 Bill Burke has served as the general manager of Turner Classic Movies, the president of TBS Superstation, and the president and CEO of Weather Channel Companies, among other roles. He is also the co-author of Ted Turner’s autobiography, Call Me Ted. “In Ted Turner,” says Burke, “I worked with someone who built a media empire in the unlikeliest of places—Atlanta, Georgia, in the late 1970s and early ’80s.” Turner’s example inspired Burke to help support people dreaming big in Maine, where he and his wife decided to move to raise their family. 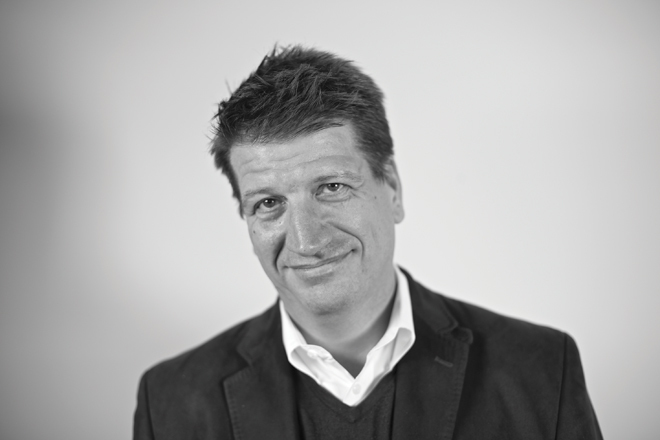 He brings his extensive executive media experience to many Maine-based boards, including the Gulf of Maine Research Institute, and is a great all-around supporter of entrepreneurial efforts in the state. 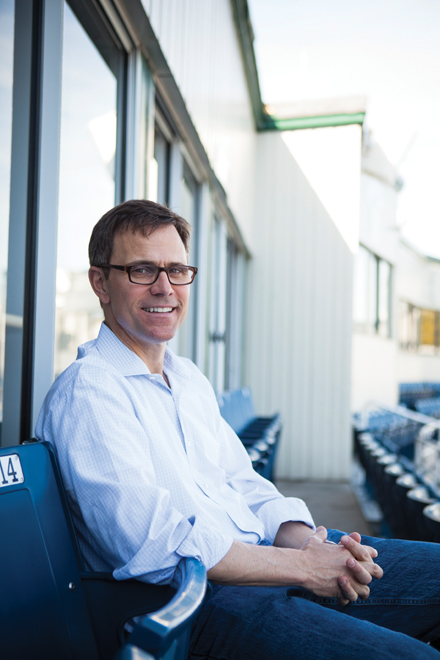 Burke is currently the chairman of the Portland Sea Dogs, a director of Simulmedia, and an advisor to Specific Media. As an attorney, Ron Kreisman has sought to help those who need someone to stand up for them, but lack money and powerful connections. For the majority of his career, Kreisman has worked on behalf of Maine’s ecological resources and Mainers who sought to protect those resources, first as general counsel to the Natural Resources Council of Maine and then independently, assuming a leading role in projects such as the removal of the Edwards Dam on the Kennebec River and the Penobscot River Restoration Project. Most recently, he worked for low-income immigrants in Maine, serving as the executive director of the Immigrant Legal Advocacy Project from May 2012 through April 2013. Suzette McAvoy, the director of the Center for Maine Contemporary Art, is carrying forward Maine’s exceptional legacy in the visual arts by both celebrating the state’s rich history and promoting artwork that furthers Maine’s dynamic trajectory in contemporary art. 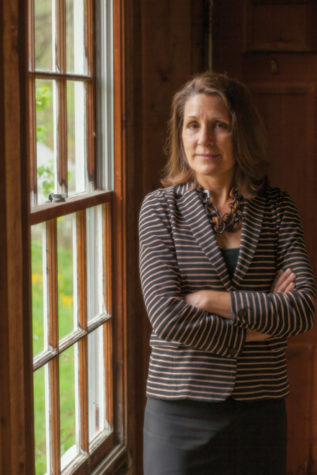 Under her leadership, and thanks to Maine’s growing support of contemporary art, CMCA is stronger now than it has been at any point in its 61-year history. In 2011, McAvoy launched CMCA’s ArtLab, a hands-on education program offering year-round classes and workshops for all ages. 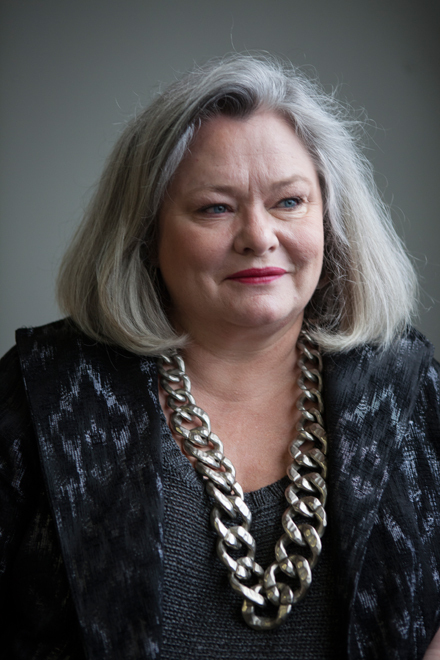 Prior to working at CMCA, she was the chief curator at the Farnsworth Art Museum in Rockland. She has lectured and written extensively on the art and artists of Maine. Over the past 25 years, the founder and CEO/strategic director of Garrand has grown the full-service communications firm into a “Best Place to Work in Maine” and one of AdAge’s “Best Places to Work in Media and Marketing” in 2010. 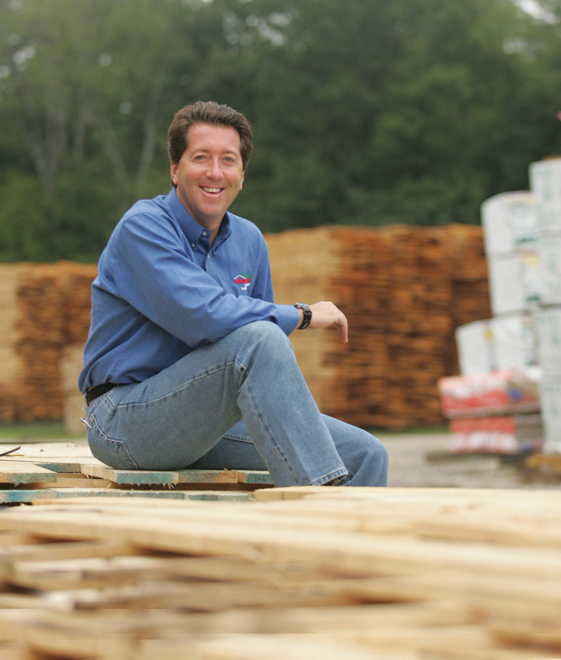 Building a successful Maine business and helping to build other Maine businesses has proven to be rewarding work for Garrand. “What I’ve seen over 30 years in Maine business is stunning innovation, tremendous resourcefulness, hard work, and strong ethical standards,” she says. In 1996, she was appointed by President Clinton as his Maine delegate to the White House Conference on Small Business. Garrand also provides support to enterprises like Maine’s Community College System, MPBN, the Good Shepherd Food Bank, and the Maine Women’s Forum. “Brenda is an entrepreneur, who 25 years ago believed in her own vision and dreams and had the heart to live those dreams,” says Elizabeth Shorr, president of The Foundation for Maine’s Community Colleges. “We cannot have sustainable rural communities without vibrant farms,” says John Piotti, the executive director of Maine Farmland Trust, and Piotti and his colleagues are on a mission to ensure that tens of thousands of acres of Maine’s best farmland will remain as farmland, and that farmers will continue to feed us and our economy. Piotti is shepherding a new generation of farmers, providing support for those farmers, and doing all he can to help make rural places more sustainable—to help them be economically vibrant without “spoiling what’s special or driving out the locals.” Under his leadership, Maine Farmland Trust won the Dirigo Award for organizational excellence from the Maine Association of Nonprofits. 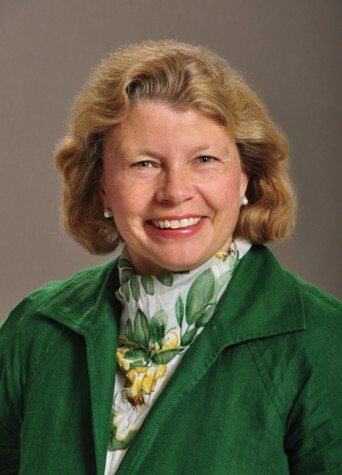 A passionate advocate for the not-for-profit sector and those it serves, Meg Baxter was president of United Way of Greater Portland for two decades and now serves as the president and CEO of the Mitchell Institute. During her tenure at United Way of Greater Portland, Baxter put Maine on the right side of history time and time again by updating and implementing non-discrimination policies. She also directed a statewide collaboration, 2-1-1 Maine, to make available 24/7 information and referral services to the public. Through Senator George Mitchell’s scholarship and research organization, she helps to make higher education a reality for bright young Mainers, thereby ensuring our state’s future is in good hands. 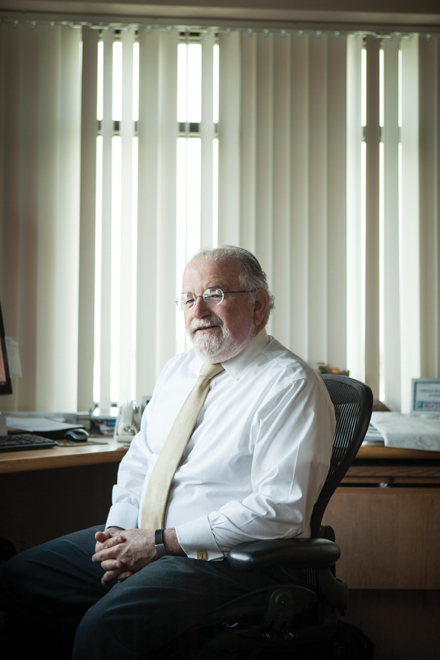 The influence Donald Sussman has had on the state of Maine is broad and deep. 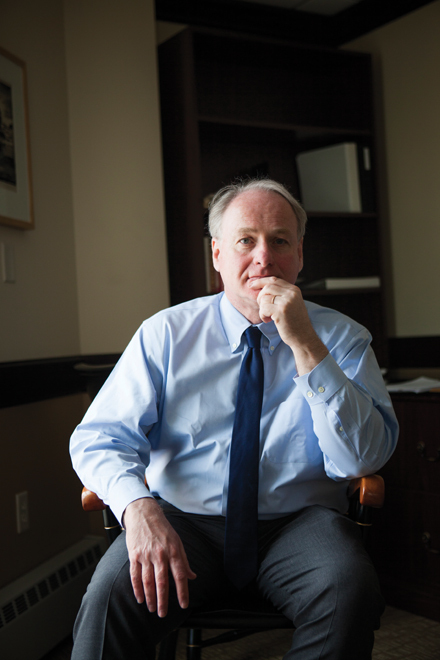 The chairman of Trust Asset Management and advisor to the Paloma Funds has made charitable donations to a countless number of nonprofit organizations in Maine, including the Equality Maine Foundation, the Immigrant Legal Access Project, the Maine Women’s Fund, and the Muskie Fund for Legal Services. He is also a supporter of the Penobscot East Resource Center, an organization committed to the health of Eastern Maine fishing communities. “His gift launched our young organization into a new era,” says Robin Alden, the Penobscot East Resource Center’s executive director. Now taking on the ownership of Maine Values LLC, the majority shareholder of Maine Today Media, which owns the Portland Press Herald/Maine Sunday Telegram and other media outlets in the state, Sussman underscores his belief in the importance of keeping journalism alive in Maine. As an attorney, judge, and now as chief justice for the state of Maine, Leigh Ingalls Saufley has committed herself to improving people’s access to justice—an infinitely challenging task and one in which she has succeeded. Beginning in 2007, Saufley developed the Business and Consumer Docket, which improves and streamlines civil proceedings. Under her leadership, the court has implemented a mediation program aimed at resolving the increasing number of residential foreclosures filed in recent years. 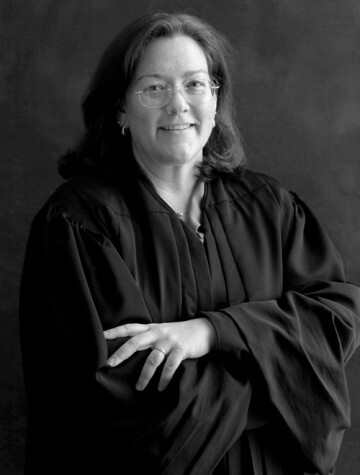 The Chief Justice’s Juvenile Task Force generated new laws and programs aimed at helping Maine youth stay in school and find positive connections, contributing to the substantial decrease in the number of youths being incarcerated. Meredith Strang Burgess is president and CEO of Burgess Advertising and Marketing, a 26-year-old full-service communications company located in Portland. 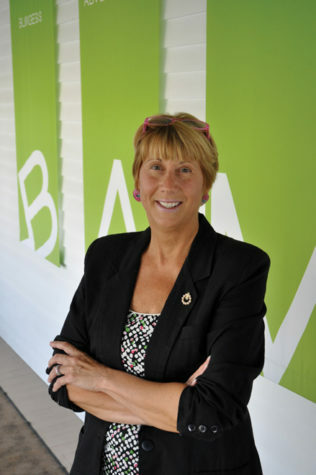 In addition to running a successful business—named a “Best Place to Work” three years in a row, an award administered by the Maine State Council of the Society for Human Resources Management—Burgess was elected to the Maine State House of Representatives and served with distinction in the 123rd, 124th, and 125th Legislatures. 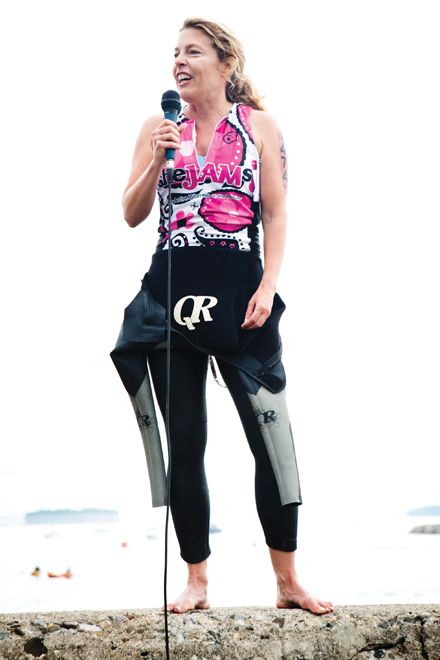 In 1999, she was diagnosed with breast cancer and has since become a very active and outspoken advocate for cancer awareness and prevention. 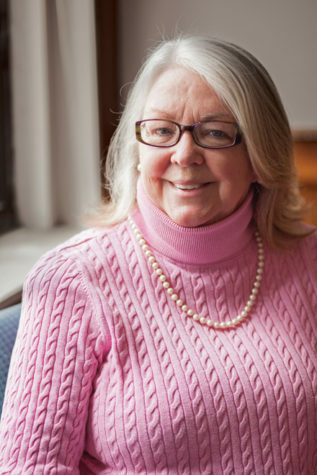 She is a past president of the Maine Cancer Foundation and the creator of the Maine Pink Ribbon specialty license plate program, which has raised over $542,000 for Maine-based cancer organizations. The director of the Portland Museum of Art is on a mission to make the museum “the best and the most important regional museum in the country,” and he and his colleagues are well on their way. With a dedicated base membership of over 9,000, as well as an influx of visitors from around the world, the Portland Museum of Art is gaining recognition on a national stage. “Mark’s support of contemporary art is keeping Maine part of the world’s ever changing creative scene,” says John Coleman of The VIA Agency. Bessire gives Maine art the attention it deserves, and is making waves that affect the Portland community and the entire state. 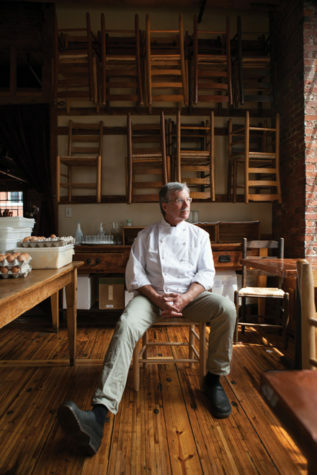 Bessire sees Maine as a place with “large, open spaces, few people, and a real desire to combine practicality with creativity and innovation”; he is introducing the Maine we know and love to the rest of the world. 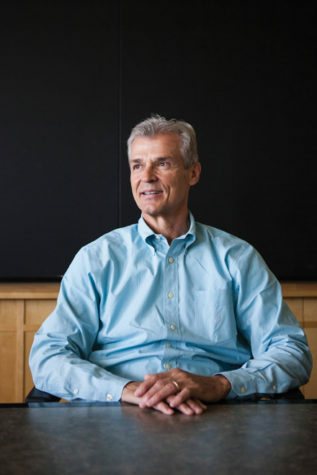 Michael Dubyak, chairman and CEO of WEX Inc., first moved to Maine 27 years ago to start his career at what was then Wright Express. Since then, he has made innumerable contributions to the state. WEX is recognized as a leader in corporate payment solutions, with operations in five countries and more than 1,300 employees—many of them Mainers. Dubyak’s experiences growing a business in Maine have driven him to volunteer time improving higher education in the state as chair of the Board of Visitors at USM and now Educate Maine. 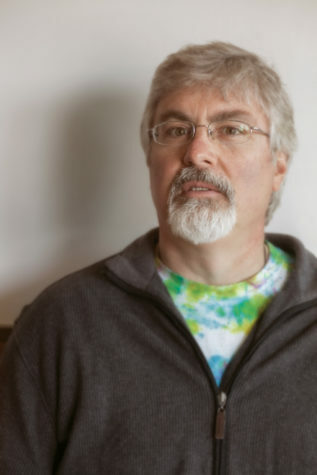 He is also the founding CEO of Educate Maine’s Project>Login, which has a goal to double the number of computer science graduates from Maine in four years. Senator George J. Mitchell served the state of Maine in the United States Senate for 15 years. During that time he oversaw the reauthorization of the Clean Air Act and was instrumental in the passage of the Americans with Disabilities Act. He has also held leading roles in negotiations for peace in Northern Ireland and the Middle East. An extraordinary ambassador for the state of Maine throughout his career, he remains strongly connected to his home state both personally and professionally—largely through the Mitchell Institute, which provides scholarships to Maine students attending Maine colleges. 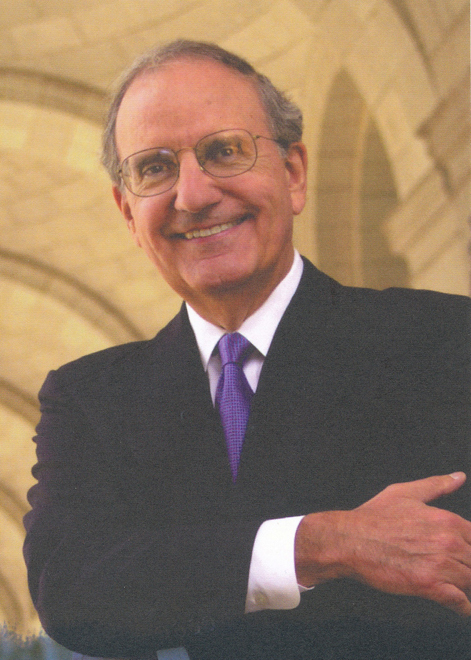 Since Senator Mitchell founded the program in 1995, over $9 million has been awarded in scholarship assistance to almost 2,000 Maine students. Colin Woodard is the author of four books that offer in-depth studies of place, identity formation, and the indivisible relationship between human culture and the natural environment. 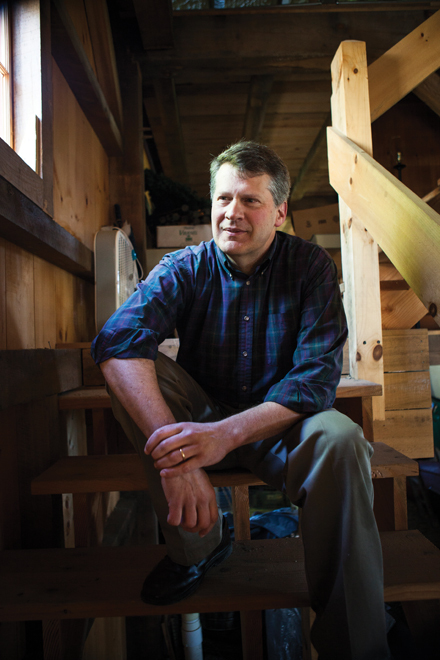 His Maine- and New England-bestselling book The Lobster Coast: Rebels, Rusticators, and the Struggle for a Forgotten Frontier focuses on his home state of Maine, and has informed the larger conversation about commercial fishing. 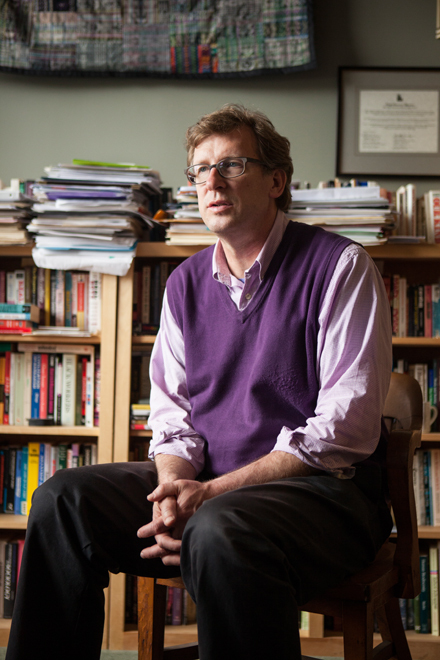 The power of the written word to motivate change inspires Woodard, who has seen prompt policy changes result from his writings on the transit of alewives into the St. Croix River, the questionable track record of full-time virtual charter schools, and the tragic story of Malaga Island. Attention to eviction of people of Malaga Island on racial grounds was only properly acknowledged and repudiated by the state after Woodard shed light on the issue. 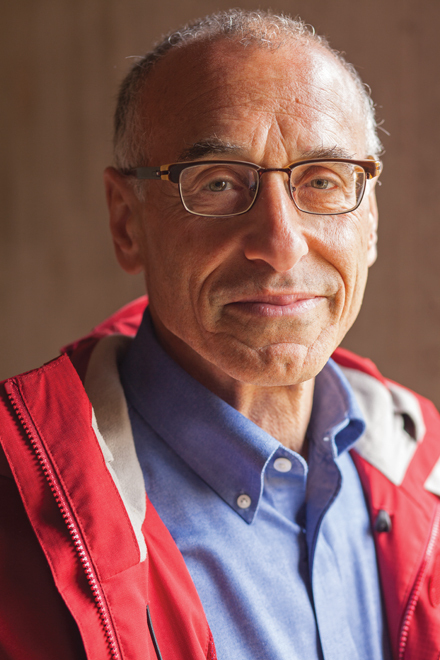 Mark R. Swann, the executive director of Preble Street, has never forgotten the words of its founder, Joe Kreisler: “Our job as human beings is to help each other” and works tirelessly to end poverty “for the fellow human being at our door” and on the systematic level. Swann has grown Preble Street from a small organization with a staff of two into one of the most highly respected human service organizations in Maine, employing over 200 and keeping important programs open—the Teen Center, Teen Shelter, and Women’s Shelter—when other organizations have struggled and closed. In 2012, Preble Street served 550,000 meals to people living in poverty. In January 2012, Swann was a national finalist for the Congressional Medal of Honor “Service Before Self” award. “Being part of a manufacturing start-up was quite an accomplishment for a 27-year-old woman back in 1979, although I didn’t think that much of it at the time. I just saw it as a natural progression to a better job,” says Leonard. Over 30 years later, she is the 100 percent owner and CEO of Auburn Manufacturing, Inc.. While most commodity-type textile makers are either closing or moving south or offshore, Leonard and her team have kept specialty textile maker AMI up and running and in Maine. Leonard’s commitment to her company extends into the surrounding community, where she serves on the L/A Future Forum as part of the Lewiston-Auburn Economic Growth Council. 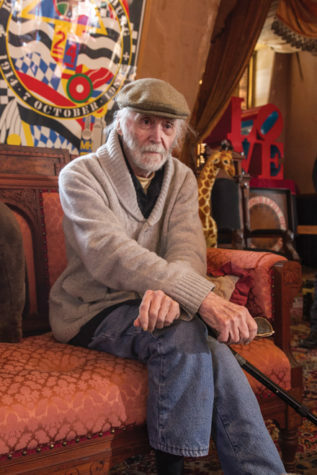 The acclaimed artist associated with the Pop Art movement has strong ties to Maine and helped launch the state’s contemporary art scene. In 1978, the artist moved permanently to the Star of Hope Lodge on the island of Vinalhaven, and from there created bold, iconic structures celebrated the world over and often exhibited in midcoast Maine. Indiana received the 2009 Maine in America award, granted by the Farnsworth Art Museum’s Presidents Council to honor an individual or group who has made an outstanding contribution to Maine’s role in American art. The Whitney Museum of American Art in New York will be hosting a retrospective of his work this September through January 2014. Chef Melissa Kelly made a dream come true when she became the chef/owner of Primo Restaurant in Rockland. 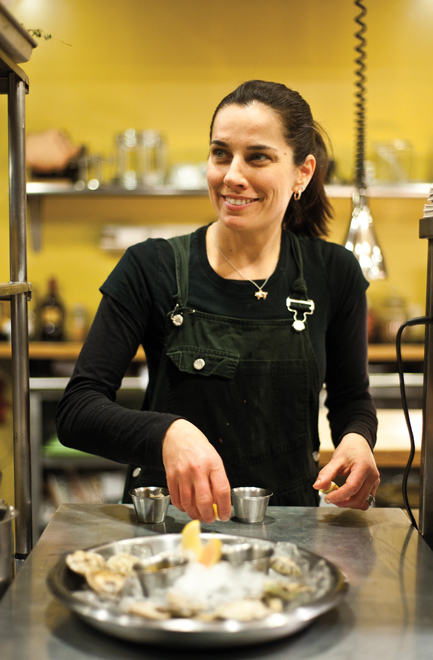 With family ties in Maine and fresh, locally-sourced ingredients readily available thanks in part to the success of MOFGA, the largest state-level organic association in the country, she found the support she needed to create an award-winning restaurant in the midcoast. Over the years, Primo has garnered national acclaim and has attracted diners from near and far, solidifying Maine’s standing as one of the best places to eat in America. She won the James Beard Award for Best Chef in the Northeast in 1999 as well as 2013, becoming the only chef ever to win twice in one category. 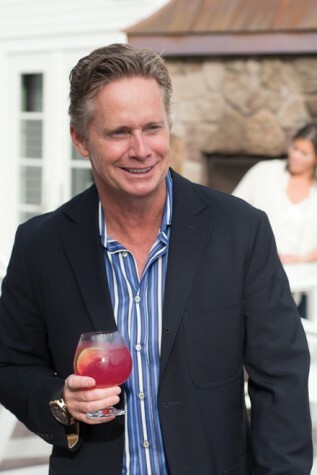 A founding partner and creative director of the Kennebunkport Resort Collection, Harrington is energizing the coastal community of the Kennebunks and elevating Maine to world-class luxury get-away status. Collaborating with Mainers with an eye toward progress, he has overseen numerous remodels and new construction projects, which have provided an economic boost to the southern coast of Maine and earned Harrington the “Small Business of the Year” award, presented by York County Community College and the Center for Entrepreneurship. Proceeds from Kennebunkport Resort Collection events have benefited the Child Abuse Prevention Council, River Tree Center for the Arts, and the Kennebunkport Conservation Trust. The president of Maine College of Art is quick to speak of the influence artists have on a community: “I strongly believe that creativity is critical to all aspects of society and that artists are important contributors and leaders in organizations not directly related to art.” Through his efforts to improve the enrollment and selectivity at Maine College of Art (and by strongly voicing his opinion that Portland is “one of the best places in the world to go to art school”), Tuski is helping bring international students to MECA and providing extraordinary opportunities for Maine students, who make up half of the school’s population. Outside of his steadfast commitment to MECA, where he is also a professor of anthropology, Tuski serves on the Maine Arts Commission, Maine Higher Education Council, and Space Gallery boards. When Linda Greenlaw needed money for college, she stepped aboard a commercial sword-fish boat and headed offshore for her first 30-day adventure at sea. 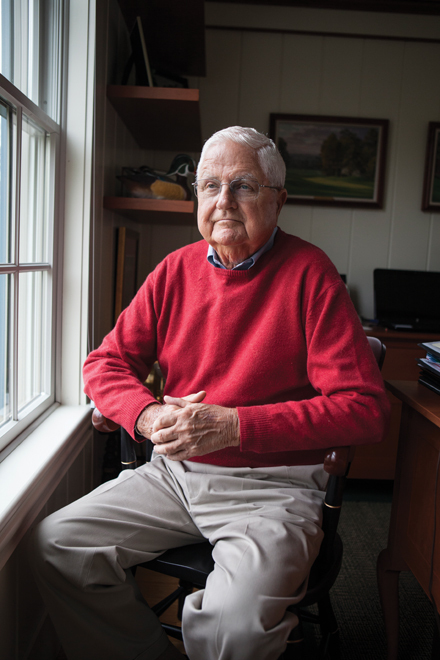 “It was at the age of 19 that I fell in love with my life,” says Greenlaw. And so she kept at fishing, and eventually became known as one of the best swordboat captains on the East Coast. 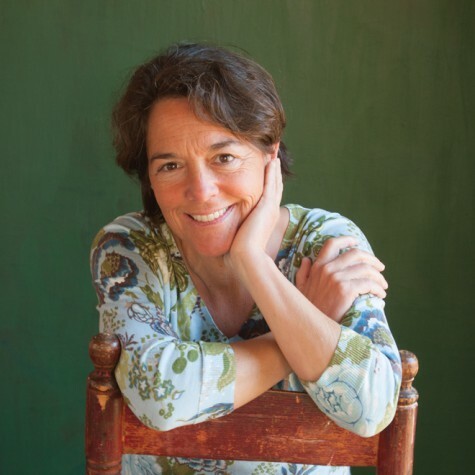 Greenlaw is the author of three best-selling books, with The Hungry Ocean remaining on the New York Times bestseller list for three months. 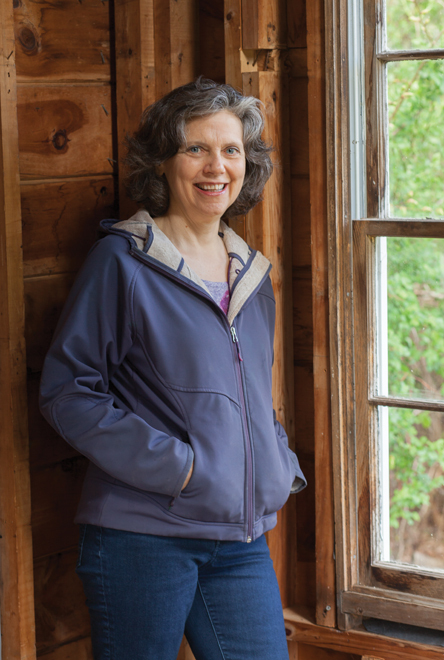 Her impressive career as a fisherman and author has garnered attention from around the world, and shone a spotlight on commercial fishing in Maine. Commissioner Chris Gardner is on a mission to help his hometown and Washington County live up to what he sees as its singular potential. After years in law enforcement, just after his thirtieth birthday, Gardner was elected Washington County commissioner, a post he has proudly held since 2004. 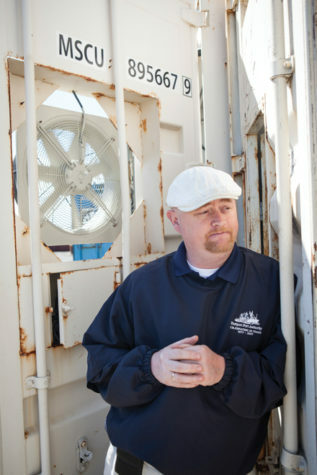 In 2007, Gardner became the Port Authority’s executive director in Eastport, which is the deepest natural seaport in the continental United States. Since stepping into that role, Eastport has seen record growth that has helped bring local businesses back to life in the area. This month, the Colby College Museum of Art will open an expansion to become the largest art museum in the state, making Waterville a destination for visitors from around the country and the world. Peter Lunder—a Colby College alumnus and the former president of Dexter Shoe Co.—and his wife, Paula, have made it so through the generous gift of their renowned private art collection. The inaugural exhibition of the Lunder’s collection will showcase works by John Singer Sargent, Mary Cassatt, Winslow Homer, and Georgia O’Keeffe, among others. 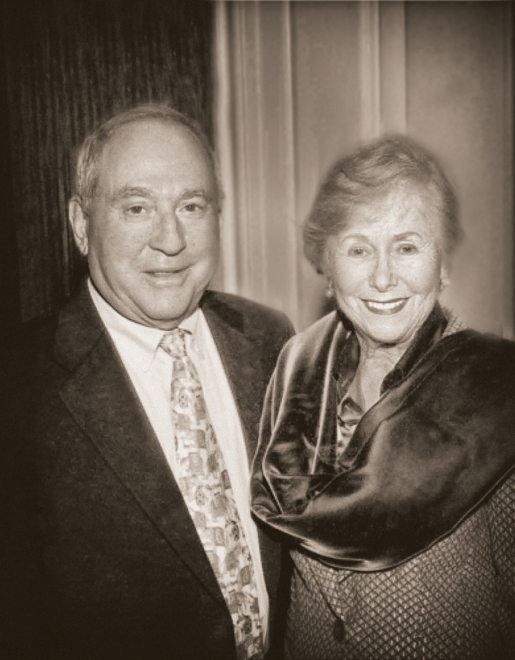 Both Peter and Paula have been great supporters of the college and museum since moving to Waterville in 1959, and have served on the museum’s board of governors and contributed time, energy, and resources toward the expansion of the museum over the last couple of decades. “The solution to almost all of our challenges as a state is the role education plays in Maine’s economic, social, and civic prosperity,” says Jim Page, chancellor of the University of Maine System, “and what other entity has the resources, reach, and singular mission of serving all the people of Maine in this way?” Needless to say, Jim Page does not take his post lightly, and since stepping into the role of chancellor in 2012, he has made strides in leveraging the systems statewide resources more effectively—he is building high-performance teams to make not only structural improvements but shifts in culture as well. Page is also the founding director of the Gulf of Maine Oceanographic Observing System and the Maine Library of Geographic Information. Dr. David Howes began his medical career as a family physician serving the small, rural fishing community of Stonington, where he established his focus on engaging patients in their own healthcare, helping to improve health outcomes, and better managing the cost of care—philosophies he brings to Martin’s Point Health Care as president and CEO. Martin’s Point has expanded significantly since it was founded in 1982, providing healthy competition to larger nonprofit health care centers in the state thanks in part to innovative approaches in addressing gaps in patient care. Through the use of data oriented reporting tools, Howes believes we can increase access while significantly improving the quality of care. In 2009, Howes was named Spurwink Humanitarian of the Year. “The ocean is central to my being; I’m deeply committed to education; I’m keenly interested in science and technology—so I created a job that wove all of this into a single tapestry,” says Perkins, the president and CEO of Gulf of Maine Research Institute. Through his work at the nonprofit science marine center, Perkins has focused on increasing opportunities for Maine kids, supporting the evolution of Maine communities “as islands of healing in an ever more complex and destructive planet,” and eradicating self-imposed limitations on the state to help Maine reach its full potential. Perkins is also the founding president of Friends of Casco Bay, an organization committed to improving and protecting the environmental health of Casco Bay. As a practicing emergency physician for several years, Lisa Letourneau encountered many patients who experienced less-than-ideal outcomes because they hadn’t been able to get access to high-quality care. 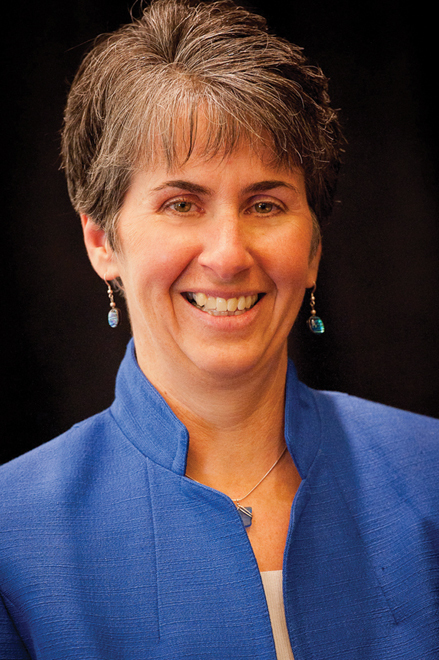 As the executive director of Maine Quality Counts, she’s helping to support the transformation of healthcare by aligning statewide improvement efforts and making quality care more accessible. With the help of several key players, Letourneau catalyzed the development of a multi-payer medical home pilot in Maine several years ago, a model that emphasizes patient-centered, high-value primary care. Letourneau is assisting the state with the development of a new Medicaid medical home initiative. The initiative now has over 120 primary care practices that have achieved national medical home recognition. 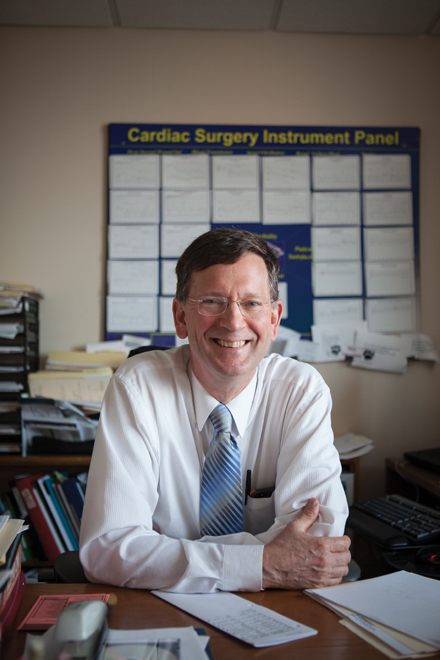 The state’s only pediatric heart surgeon came to Maine in 1992 and has been the Director of Cardiothoracic Surgery at Maine Medical Center for eight years. The generosity Dr. Quinn has shown during that time is remarkable. In a 2012 interview with the Portland Press Herald, he is quoted saying “We’ve never not operated on anybody in the state that has needed it…I don’t know who pays me and who doesn’t, and I really don’t care.” In addition to providing top medical care to Mainers, Dr. Quinn is the founder of the Maine Foundation for Pediatric Cardiac Surgery, which provides funds for six to eight operations every year for children living in Maine and around the world. Theodora Kalikow became president of the University of Maine Farmington in 1994, a role she held for 18 years. During that time she saw the public liberal-arts college rise to the top of national charts—UMF has been ranked a “Best College” and a “Best Value” in the category of “Great Schools at Great Prices” by U.S. News and World Report. Last year, she was asked to step into the role of president of the University of Southern Maine, where she is expected to bring about similarly impactful change. Outside of the presidential office, she has mentored future women leaders through the Maine Academic Management Institute and devoted her time to groups committed to expanding and supporting diversity within the University of Maine System. Peter DeTroy has been practicing law in Maine since 1973 and has been with his current firm, Norman, Hanson, and DeTroy, since 1977. Throughout that time, DeTroy has tried cases in every county in Maine, and he speaks glowingly of the people of Maine and his colleagues on the Maine bench and bar. 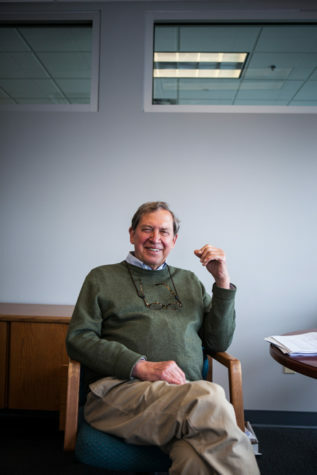 In the 1990s, DeTroy was part of a small group of lawyers asked to represent the state of Maine in a lawsuit against the tobacco industry to recover the costs of healthcare the state had absorbed in its Mainecare program from tobacco-related illnesses. 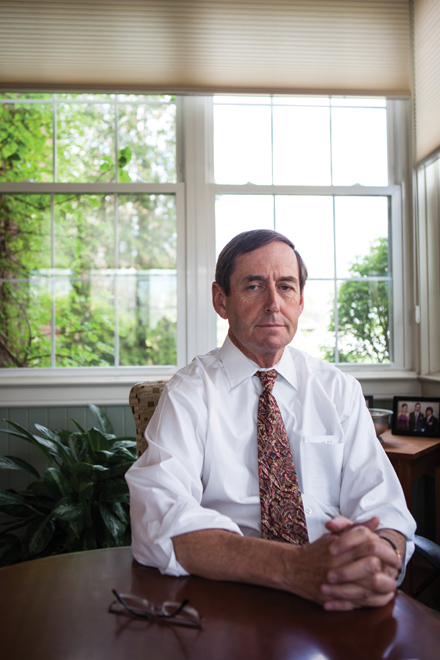 During his service to the bar and bench he has had roles in the Task Force on Gender Bias in the Courts, and the Maine State Bar Association Silent Partners Programs, among other organizations. 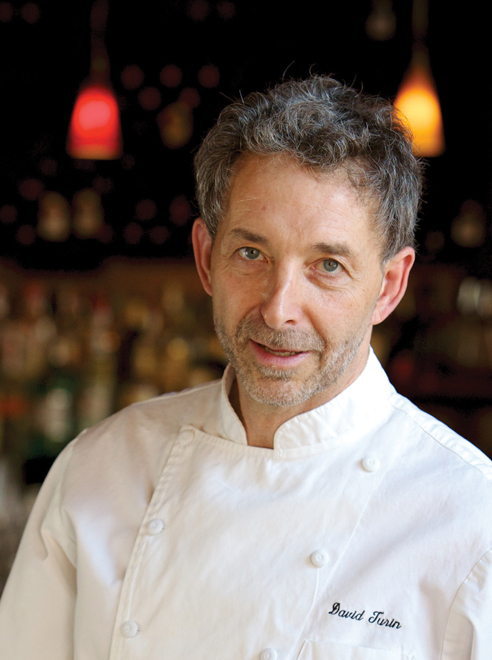 With kindness and creativity, David Turin has contributed significantly to the Maine food scene over the years through his restaurants David’s, David’s Opus Ten, David’s 388, and—most recently—David’s KPT, which bring notable vitality to their surrounding neighborhoods, employ many talented Mainers, and contribute to the state’s exceptional food scene. In addition to his entrepreneurial forays in the food industry, the life-long surfer is the founder of Surf Camp out of Scarborough, which has affected the lives of thousands of kids in the greater Portland area. Turin is also involved in the nonprofits the Ronald McDonald House, Good Shepard Food Bank, and Share Our Strength, an organization dedicated to ending childhood hunger in America. 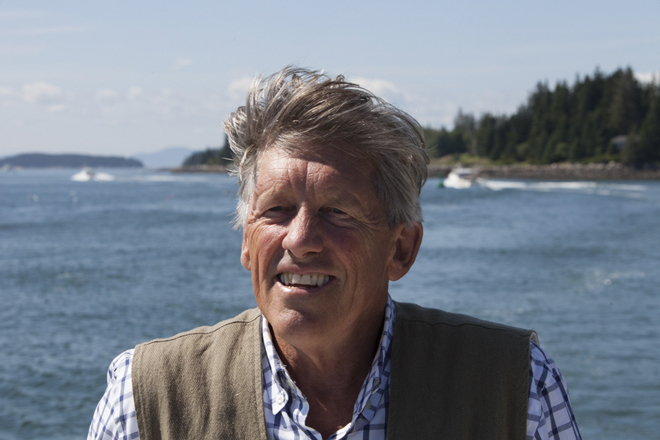 Philip Conkling is the founder and president of the Island Institute, a nonprofit organization that supports islands’ year-round communities in the Gulf of Maine, and works to conserve island and marine biodiversity for future generations and develop model solutions that balance the needs of the coast’s cultural and natural communities. The first time Conkling testified in Augusta before a legislative committee about an island community issue, the chairman leaned across his desk and said, “You mean to tell me there are people who live on those islands in the winter?” Through multiple publications and even constitutional amendments, Conkling has raised awareness and garnered critical support for island and working waterfront communities in Maine. As a lawyer, state senator, and environmental lobbyist, Hoddy Hildreth worked to get many environmental protection laws on the books; as an activist he helps keep them there. Hildreth created environmental legislation that regulated and controlled development in the unorganized territories, required the location of major developments to be subject to objective scrutiny, and protected wetlands from destruction and development. He is also responsible for growing Diversified Communications from a small family business in Bangor to the worldwide business it is today. The company produces over 100 trade and business events in 11 countries, and employs 100 people in its Portland headquarters. 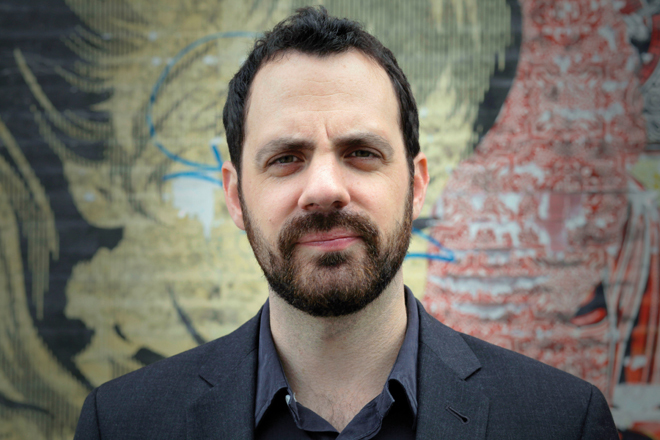 “The idea of starting the Camden International Film Festival came out of a desire to combine two things that I love: the place where I grew up and independent film,” says Ben Fowlie, the founder and director of CIFF. CIFF has grown tremendously since its inception in 2005. It has been recognized as one of the top 25 documentary film festivals in the world, New England’s most respected documentary film festival by Indiewire, and one of the 12 best “small town” film festivals in the U.S. (PBS POV). Last November, CIFF was recognized by the Academy of Motion Pictures Arts and Sciences. May of this year, CIFF was awarded the Economic Enhancement Award by the Penobscot Bay Regional Chamber of Commerce, which recognizes an organization that has made a major economic investment or enhanced our local economy. The former chairman and CEO of VF Corporation, the world’s largest apparel company, moved to Maine 18 years ago, and has since been an integral advisor to numerous organizations throughout the state, including the Portland Museum of Art, the US Biathlon team, and the Maine Winter Sports Center. 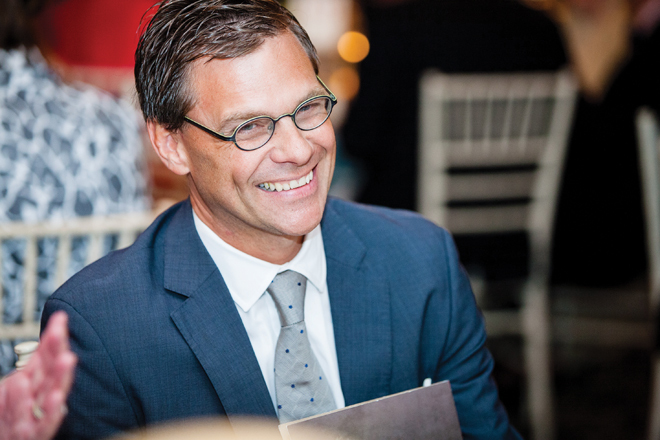 President and CEO of Maine Winter Sports Center, Andrew Shepard, says of Pugh: “He has never shied away from a challenge if he thought he could make a difference and as one of the leading business minds of his generation, he has done so in a most profound way.” Pugh had a lead role in bringing the Coastal Maine Botanical Gardens to fruition, and as a trustee of the Harold Alfond Foundation and the chair of the Alfond Scholarship Fund, Pugh furthers the group’s mission to provide every baby born in Maine with a $500 scholarship to a college fund. 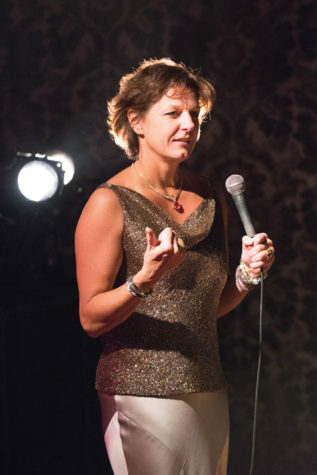 Meg Weston’s career has been remarkably varied. 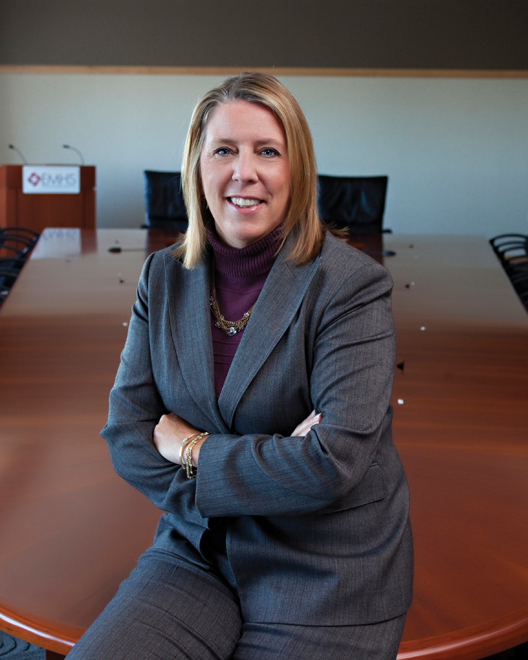 She’s served as the president and COO of Konica Quality Photo East, the president of the Portland Press Herald and Maine Sunday Telegram, and the president of the University of Southern Maine Foundation, among other roles. 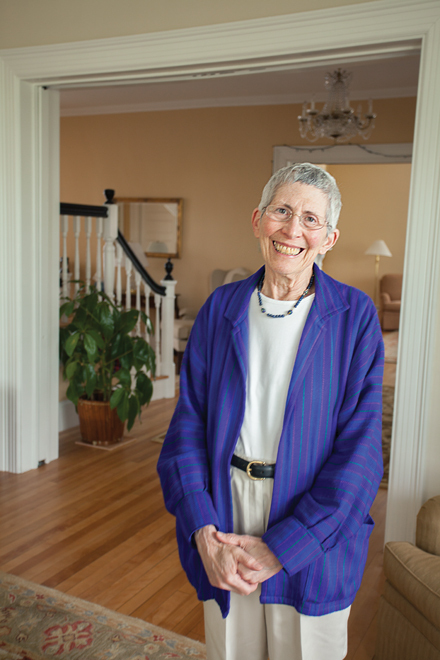 As a board member and chair of the board of trustees of the University of Maine System, she worked to help make higher education accessible and affordable to the people of Maine. Weston is currently the president of the Maine Media Workshops and College, where she is embracing old and new technologies to help students discover new, dynamic ways to tell stories. 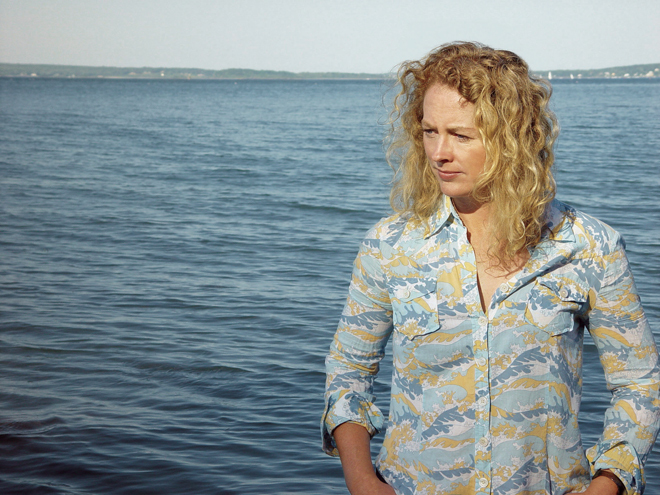 Throughout her career, Weston has underscored the power of education and creativity—and the potential for the creative economy to transform communities and make it possible for people to live in and enjoy Maine. Joe Wishcamper has developed low-income housing for 43 years. Although The Wishcamper Companies, Inc., owns properties in 17 states, his company is headquartered in Maine because he “loves living here.” And he has made a significant difference in the state, providing quality housing at affordable rents for for thousands of families and seniors, and jobs for many Mainers. 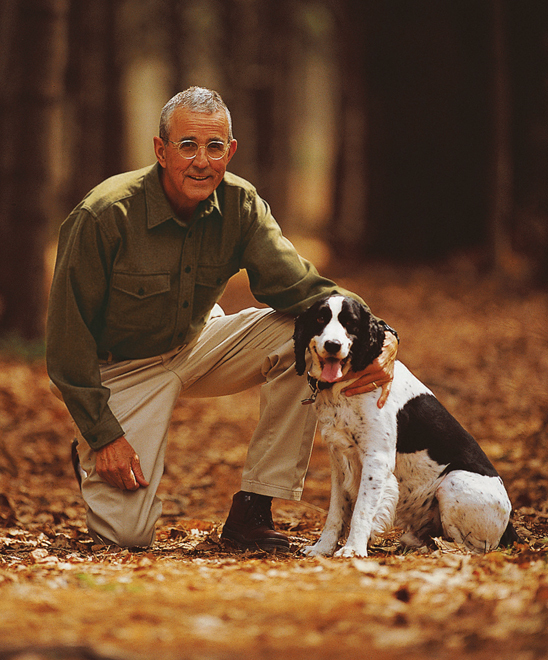 Wishcamper has rehabilitated complexes throughout Maine, creating functional apartment communities, and has served on the boards of countless businesses and nonprofits, including Maine Medical Center, The Nature Conservancy, and the University of Maine System. 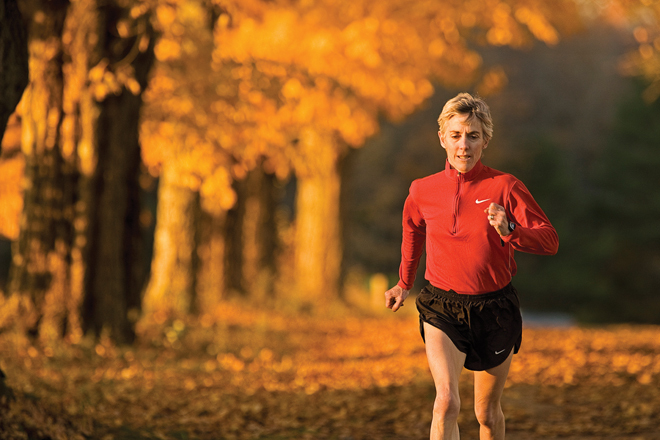 He is the recipient of the Spurwink Humanitarian of the Year and the Colby College Philanthropy Award. ← The Blue Rooster Food Co.